Skylanders Ring of Heroes is a colorful game that is much more than a simple turn-based RPG. With constant grinding and unlocks, Skylanders Ring of Heroes offers a long, arduous, and engaging journey. 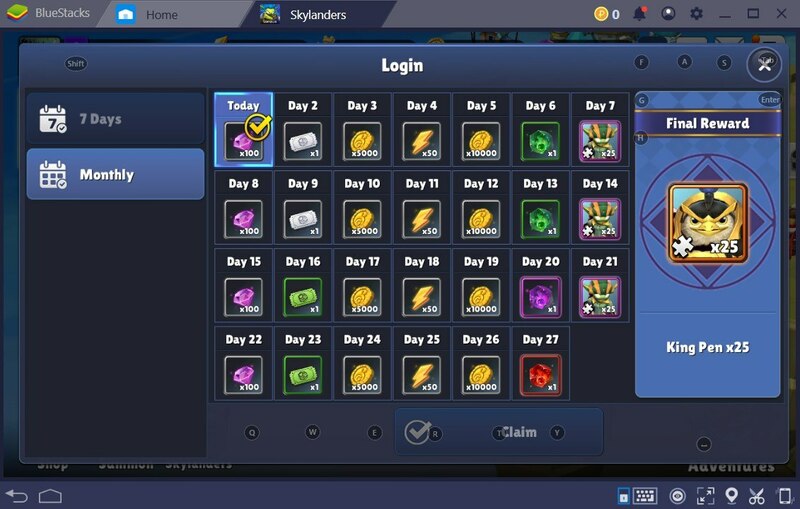 Com2Us manages to add longevity to Skylanders Ring of Heroes by integrating different progression and combat systems. Even though the game has a grinding factor and the long enough story mode keeps you going, you might feel it reaches to a halt at certain moments. That’s when the well-crafted PvP mode comes into play. In Skylanders Ring of Heroes, you can battle with other real players using your favorite Skylanders. The PvP mode is fun and engaging. But before talking about the PvP mode, we should get the basics out of the way, first. Skylanders Ring of Heroes might feel a bit complicated to new comers at first, but don’t worry, we will help you get through. Before every single battle, the game demands you to choose your team of Skylanders. You can choose up to three. 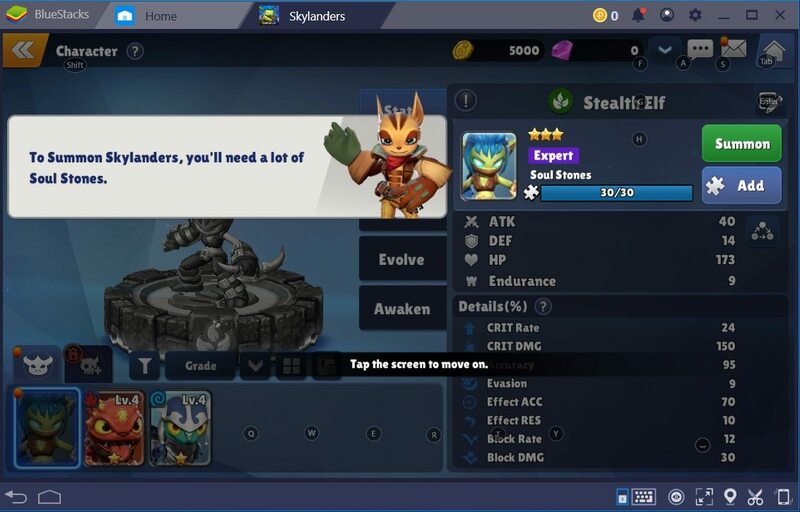 All you need to do is click on the Skylander you want to use and click on the free space to add it. Alternatively, you can just drag the Skylander card to the free space in your team. Both of the ways are easy and efficient; the choice is yours. Adding and removing Skylanders is very easy. Edit your team to your liking and get ready to battle. After choosing your team, now all you need to do is click on ‘Start’ and you will begin the battle. Skylanders Ring of Heroes has a classic turn-based RPG combat system. Each of your Skylanders has two abilities available that require a certain amount of mana. After using an ability, it will need to cool down. The time of cool down depends on the ability. Some abilities pack up powerful attacks and take a lot more time to recharge. In addition, you can queue up your abilities beforehand and just watch your Skylanders go to town. 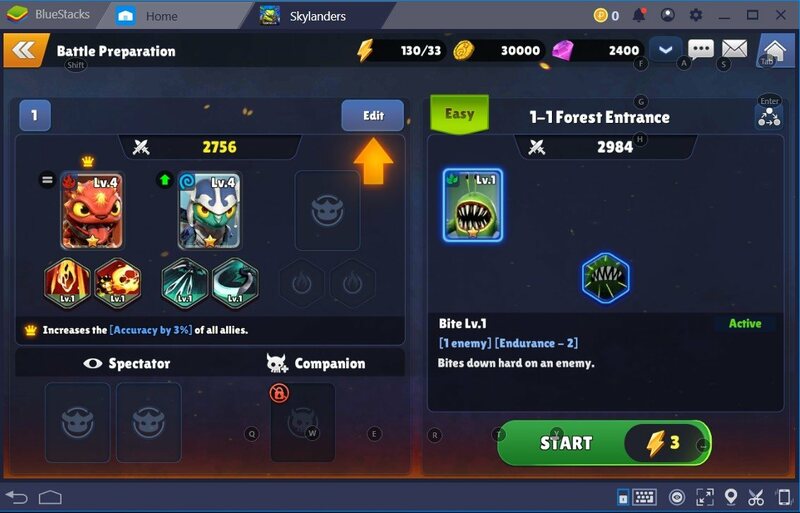 By using BlueStacks keyboard mapping, you can easily activate your Skylanders abilities with the keyboard keys. 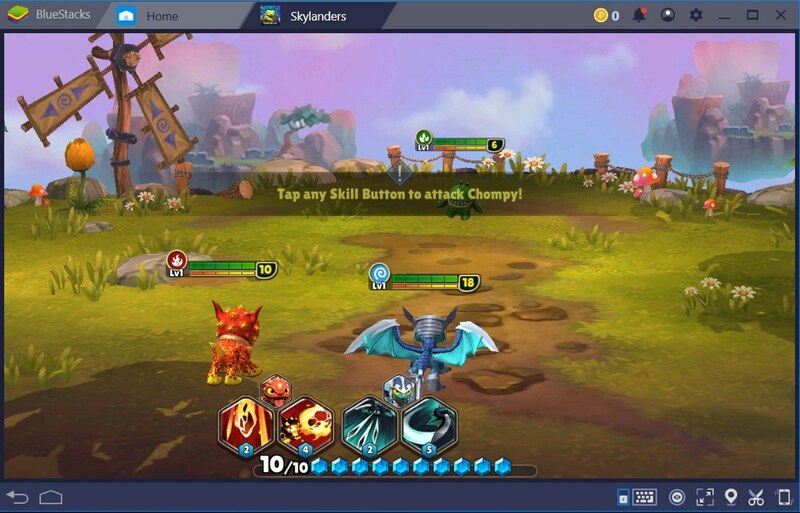 Using BlueStacks while playing Skylanders Ring of Heroes brings a lot of advantages to the table, but being a subject of its own, we will articulate this matter more in a different article. We talked about skills, mana, and cooldown. There is another important detail in Skylanders Ring of Heroes regarding the combat system. 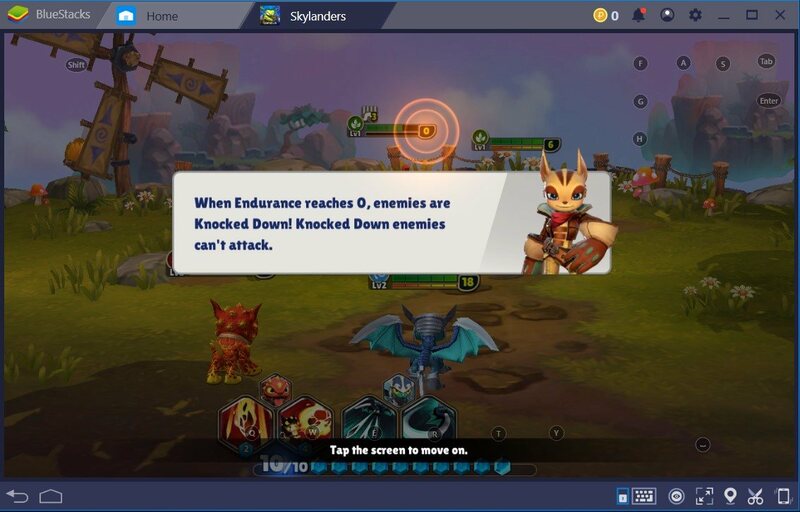 Each Skylander has an “Endurance Meter”. Some Skylanders abilities deplete the endurance meter. If the endurance meter reaches zero, the affected Skylanders will be knocked down. Knocked down Skylanders can’t attack for a round. During the battle, knocking down a strong Skylander could make the fight a lot easier. Skylanders Ring of Heroes has a big pool of many different Skylanders. Each is unique on its own and brings a different set of skills to your team. During your long journey in Skylanders Ring of Heroes, you will come across many different Skylanders. Add as many Skylanders as you can to your team and you will have an easier time winning the much harder battles in the future. After earning a Skylander, you need soul stones to summon and use it. Summon stones are scarce and very valuable. Unfortunately, you can’t summon every single Skylander you gather. During your playthrough of Skylanders Ring of Heroes, you will earn soul stones but it will never be enough to summon all the Skylanders you have gathered. The key is to choose the right Skylanders. Decide which ones you need and then use the precious soul stones. Being frugal is the key. 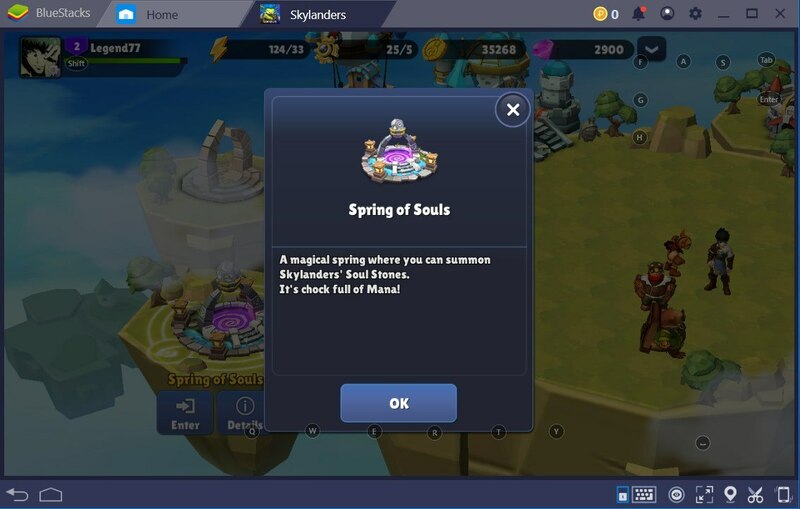 Spring of Souls is the place for the precious “Soul Stones”. In here, you can open some sort of Skylander chests that grant you with soul stones and Skylanders. There are different types of chests; some offer bigger and better outcomes, while others, cheap ones, of course, offer a lot less. Rarely, you will get a usable Skylander from a single pack. These packs are for getting stones to summon the Skylander you want. To open a Skylander chest, you need to use gems. Gems can be earned by completing the story quests. There are many quests that reward you with gems but do not expect to open a chest every single day. Gems are necessary. Fortunately, there is more than one way to earn them. In addition to constant grinding and earning gems by completing a quest in the story mode, you can earn gems by merely checking your account regularly. Every day, you will earn a different currency reward just by entering Skylanders Ring of Heroes. Because the gems are the most precious currency in Skylanders Ring of Heroes, unfortunately, you can only earn gems once a week. Still, it’s better than nothing. Keep checking in and earn more gems. Another important thing to check out is your “Inbox”. Occasionally, Com2Us will appraise its player base with a variety of rewards. These can be items or currency. These rewards are given based on some different benchmarks. 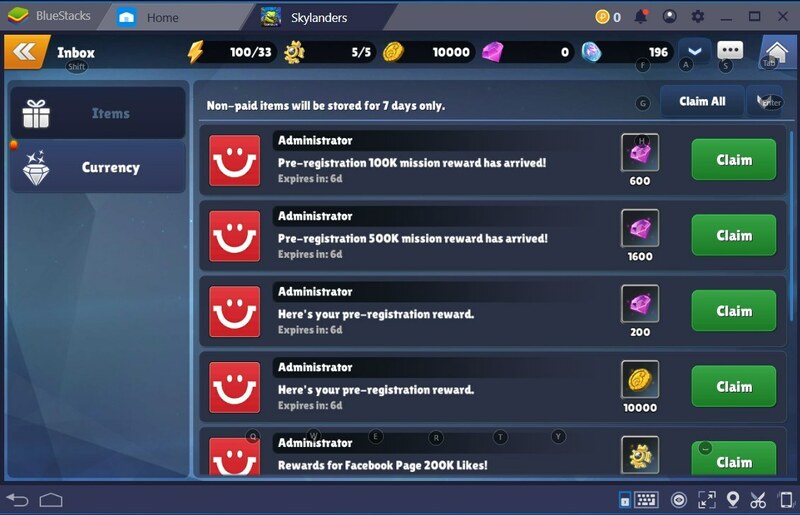 For instance: when the game reaches a certain number of players or a certain number of followers in a social media platform, Com2Us provides it’s Skylanders Ring of Heroes players with gifts. Every Skylanders Ring of Heroes player should know a little detail, which is – these gifts have an expiration date; you have only a week to use them after they’re claimed. So be careful, if you won’t use them, be sure to not claim them yet. Overall, Skylanders Ring of Heroes offers a long journey that requires a certain amount of time and grinding. 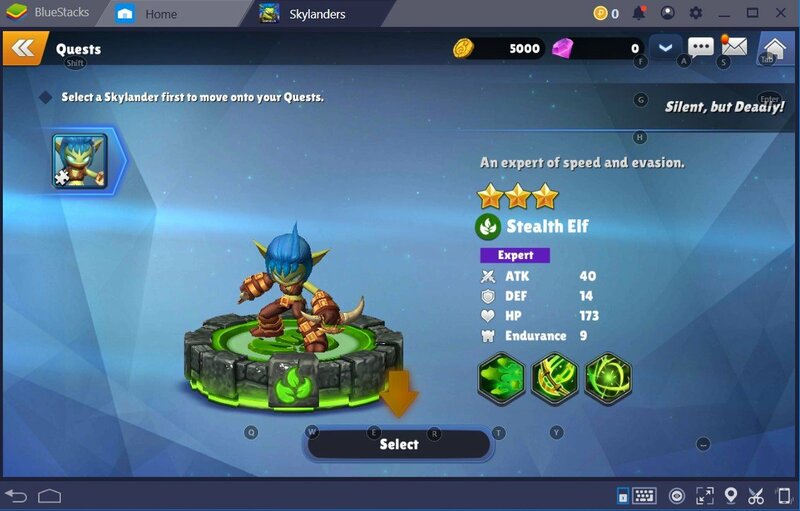 The information provided in this article is enough for you to get started, but to become a better player and gather the most powerful Skylanders, you will need to know a lot more. Check out our ‘Tips and Tricks’ article for a more detailed insight about Skylanders Ring of Heroes.